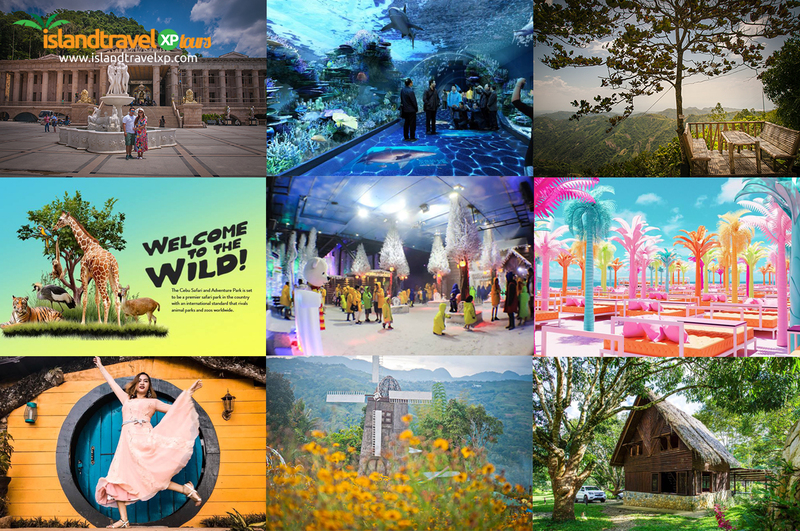 It’s definitely true that Cebu never ceases to amaze everyone! 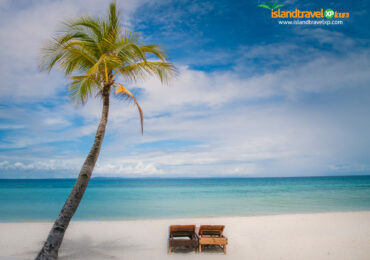 From Cebu’s breathtaking southern charms to its captivating north hill destinations; comes Bantayan Island. 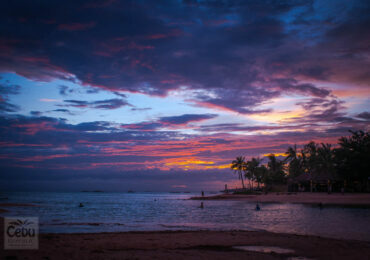 Bantayan is located in the northern end of Cebu province and currently the talk of the town. Did you ever wonder why? 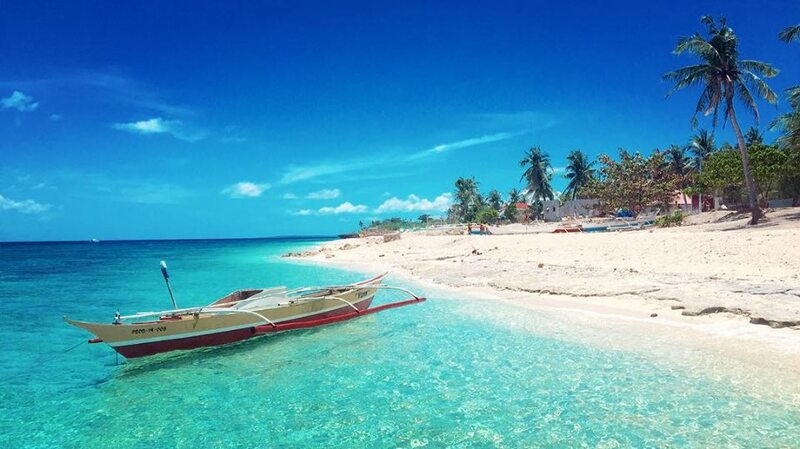 Bantayan is an island that lies just across the Tañon Strait a few kilometers west of Cebu’s northernmost town of Daanbantayan. Bantayan Island is administratively divided into 3 municipalities, namely; Bantayan (the island’s namesake and the largest municipality located at the central part of the island), Madridejos (located at the northern part), and Santa Fe (covers the eastern portion of the island and offers some of the best beaches and accommodations). 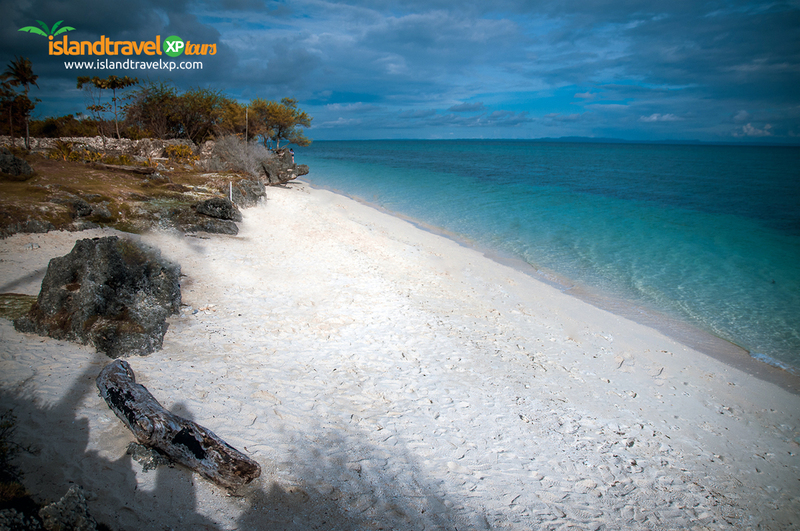 The island also has several islets near its shore which makes island hopping a terrific adventure to boot. Some of these islets/islands are the Hilantagaan Island, Kinatarkan Island, Sagasay Island, Doong Island, Virgin Island, Patao (or Polopolo among locals), and many other smaller islands which are mostly uninhabited. Some of Bantayan’s finest attractions (aside from these amazing islands) are the unspoiled white sand beaches, crystal-clear ocean waters, old churches, fish feeding, tandem skydiving, cave exploration, beach bumming, diverse cuisine and native dishes (mainly seafood), breathtaking coral gardens, various snorkeling and diving sites, fish sanctuary, and cliff diving, among others. Catch one of Bantayan Island’s most sought-after islands: the rare Virgin Island located near the eastern side of the mainland of Bantayan. At this island, you can have a feast of activities that you can put on your itinerary. Enjoy exploring the fish sanctuary, where you can feed the fish in schools and pack which is just beside the shore, play and run at the white sandbar, rubber boating, row boating, and snorkel to the clearest waters off its coast. There are available cottages for rent on the island and you can hire a boatman from the town of Sta. Fe (including his boat, complete with life vests, the whole day). From the Sta. Fe shore, the trip to the Virgin Island just takes 30 minutes via this motorized outrigger boat. 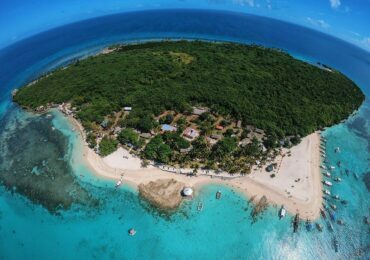 Then you can make reservations in one of the resorts in the Virgin Island if you want to stay overnight. Succumb to the elegance of the Sta. Fe beach in Bantayan Island, Cebu. 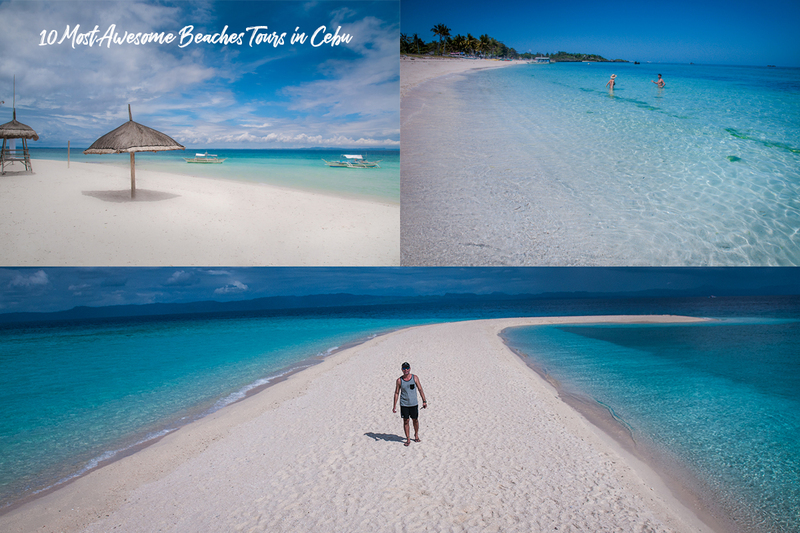 Here, you can find one of the most pristine waters and the whitest sand beaches in the Philippines. Sta. Fe also offers various beach clubs that you could rent out for an awesome stay while you explore the island. 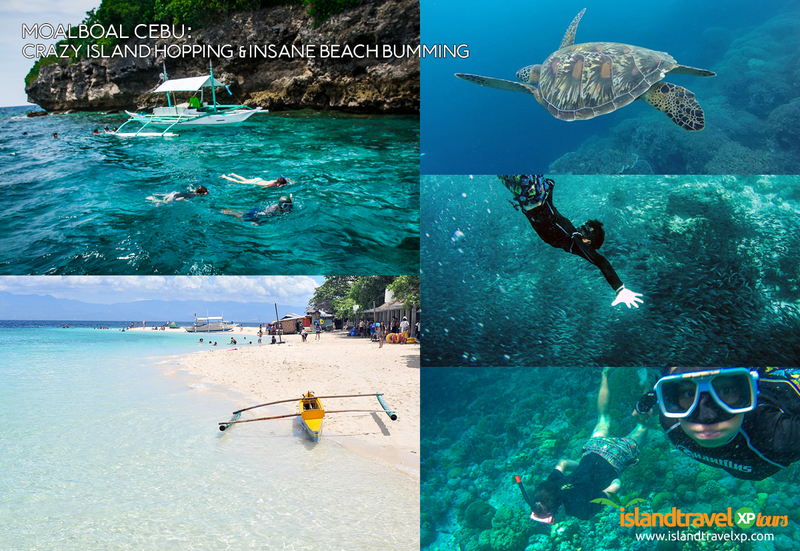 At the island, you can do resort hopping, exploring caves (like the Ogtong Cave), visit the Mangrove Eco-Park, watch the fantastic sunrise and sunset, diving, snorkeling, and other worthy adventures the island could offer. The town of Sta. 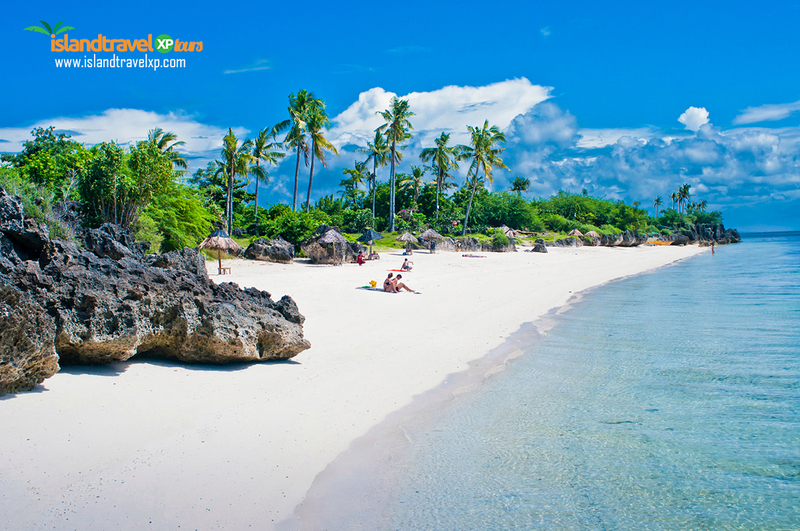 Fe in Bantayan Island is located less than 8km right across the town of Medellin. Going to Sta. Fe Beach from Cebu City, you can hitch a bus ride to the North Bus Terminal going to Hagnaya. Travel time is approximately 3 hours. From Hagnaya, you can take the Express Ferry Boat to Sta. Fe, Bantayan Island or a Ro-Ro boat. The boat trip usually takes about 1 hour before you can reach the exciting town of Sta. Fe. 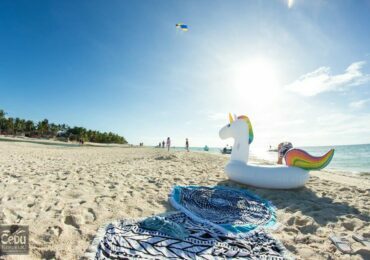 One of the most popular resorts in Bantayan Island is the Paradise Beach, a secluded strip of white sand perfect for sunbathing, swimming, rewinding, and total relaxation. The beach is still unknown from other beach lovers that is why it has little foot traffic which is just ideal while you do your tan. The beach is open from 9 AM to 5 PM and has minimal entrance fees (cheaper for children). The beach is located on the southernmost coast of the town of Sta. Fe in Brgy. Pooc; the famous beach is less than 3km east of Omagieca Obo-ob Mangrove Garden. The best possible way to go there is renting a motorbike (when you are in the town proper of Sta. Fe) which will take you to the site in under 1 hour. The resort has a limited supply of food and drinks, though, so you better bring your own. The Kinatarkan Island (also goes with the names Guintacan, Kinatarcan or Guintarcan) was once called the “Forgotten Island” because of its underdevelopment. But perhaps, the island remains as pristine as ever because of the undisturbed surroundings and the presence of some of nature’s precious creations! Some of the best attractions in Kinatarkan Island are the deep blue water and pebbled beaches, the mesmerizing Laaw lagoon, the century’s old lighthouse, and the stunning coral cliffs, among others. 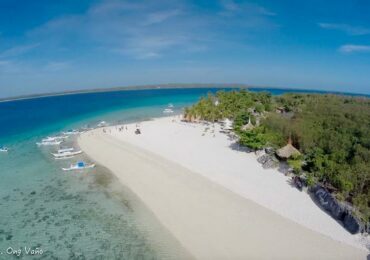 Kinatarkan is just 12km northeast of Bantayan Island with almost the same distance northwest of Hagnaya Port in the town of Daanbantayan in mainland Cebu. The island is part of Sta. Fe and home to some 10,000 inhabitants which are mostly fishermen and tour guides. 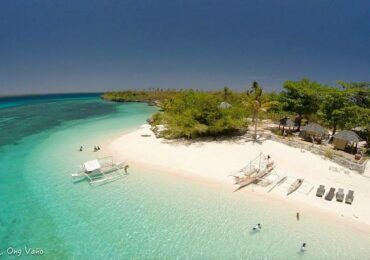 On the other hand, Hilantagaan Island offers some of the finest marine sanctuaries in Central Visayas. 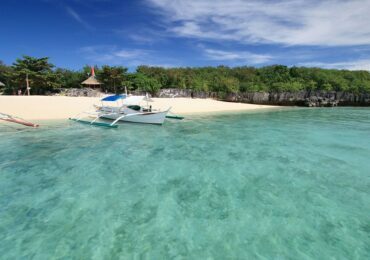 This island is just a few kilometers away east of mainland Bantayan and forms a single barangay (village) as part of Sta. Fe town. The island is only a 20-minute boat ride from Sta. 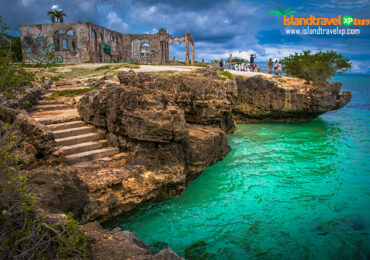 Fe and offers distinct limestone rock formations and fine white sand beach. 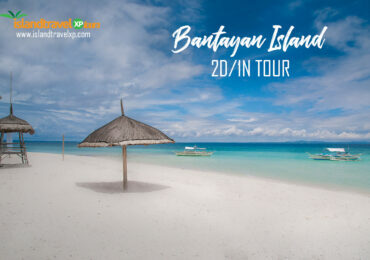 Bantayan Island is a little less than one hundred square miles in size; it’s regarded as one of the most beautiful islands in the world because of its crystal clear ocean waters and an immaculately clean shoreline of powdery white sands. 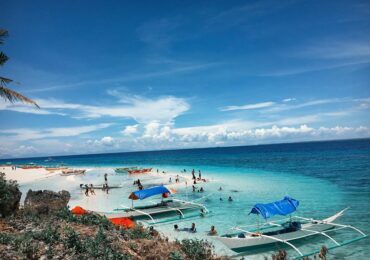 There are several pristine beaches in Bantayan Island which you could wander and explore their magnificence under a burst of adoring sunshine. 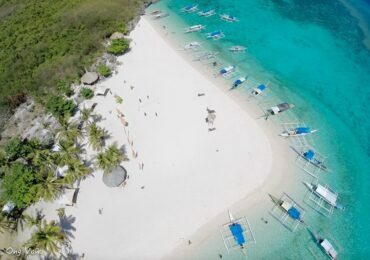 Some of the best beaches in Bantayan Island are the Budyong Beach Resort, Kota Beach (aka Camp Sawi), Santa Fe Beach Club, The Coral Blue Oriental Beach Villas & Suites, Anika Island Resort, Coral Garden of Marikaban, Paradise Beach, and the Beach Placid Resort. The so-called “The Ruins” in Bantayan Island is an abandoned and uncompleted structure meant as a fort during the Spanish period. The strong structure was left bared which many tourists find as a perfect setting for a selfie or an Instagrammable pose. 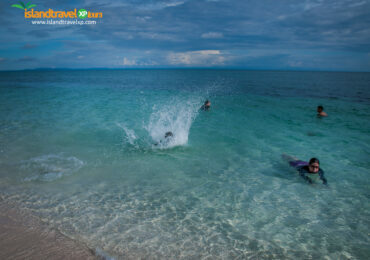 The Ruins is situated in the town of Santa Fe and just a few meters away from the famed Kota Beach or Camp Sawi. Moreover, The Ruins is also nearby a cliff on the shore facing the majestic Visayan Sea. Here, you can have an adrenaline rush of cliff jumping where you can fall feet first or do a somersault in the ocean’s clear and deep blue waters. Bantayan Island has so many mind-boggling caves to explore (most of them are undiscovered and unexplored). 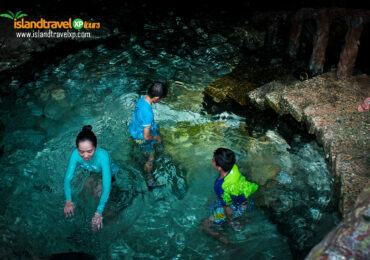 And one of these caves that are more popular among residents and tourists alike is the Ogtong Cave located in Sta. Fe. The cave, though small, has a unique pool at its entrance where the water is so cool and immaculately crystal clear perfect for a short dip. Nearby is the Ogtong Cave Resort, a sister resort of the Sta. Fe Beach Club. This resort has several swimming pools, a fine white sand stretch of beach, and first-class rooms and accommodations ideal for the family on tour and the traveling wanderlusts. 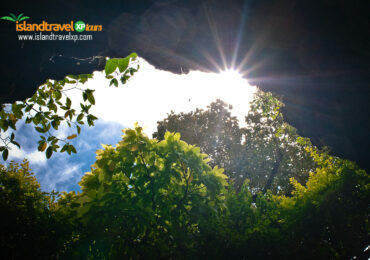 Moreover, Ogtong Cave is considered a stunning underground wonder of nature. 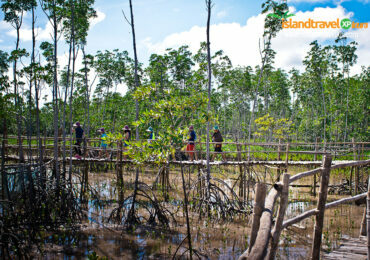 The Omagieca Mangrove Garden is located between the towns of Sta. Fe and Bantayan. The Obo-ob Mangrove Eco Park shows how this system helps in the development of the marine life that serves as the breeding ground for several species of fish. 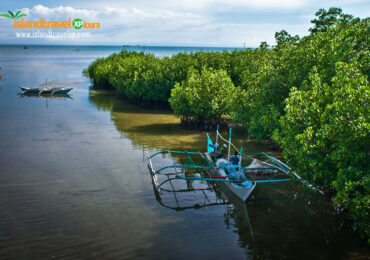 Moreover, the Omagieca Mangrove Garden Restaurant offers some of the best delicacies of Bantayan Island. So, while you are on tour to visit or explore the mangroves, dine in a cooler atmosphere at the Omagieca! Experience walking on a bamboo platform on your way to the restaurant and see the natural ambiance of the resto along the shoreline. Aside from dining and mangrove exploration, you can enjoy kayaking and boating inside the Eco-park with a very affordable entrance fee. 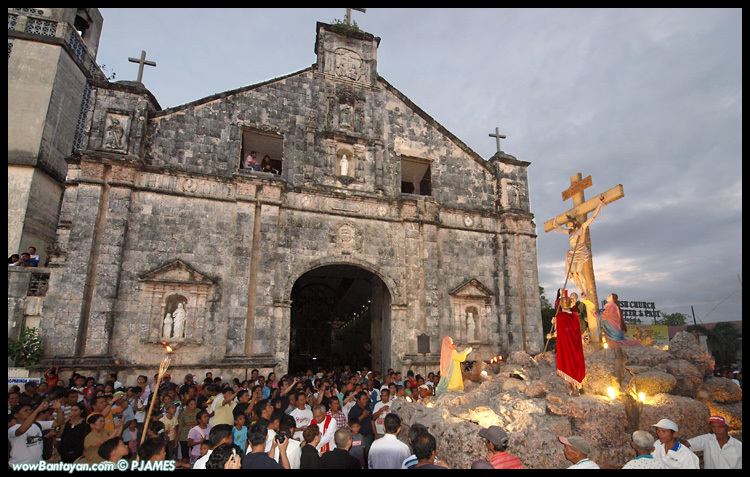 The St. Peter & Paul Church is one of the oldest churches in the country and is situated across the town plaza in the center of the municipality of Bantayan. The church is made of corals and stones and housed some of the oldest relief sculptures of various saints and numerous religious artifacts. For the wanderlusts who want to witness history unfolding and the unique architecture of old Bantayan Island, the St. Peter & Paul church is the best place to visit. Nighttime in Bantayan is probably one of the most romantic for lovey-dovey and more enjoyable for “barkadas” and the family as the cool night breeze is quite unique in this island. Most locals and tourists are hanging out in the town during the night where they are fond of meeting people from all over the world. For the family, there are several restaurants offering native dishes of seafood and a variety of international cuisines (such as European, Japanese, Thai, and American). For adults that want to explore the island at night, there are a couple of serene places to visit if you want to have a nice drink with your buddies. 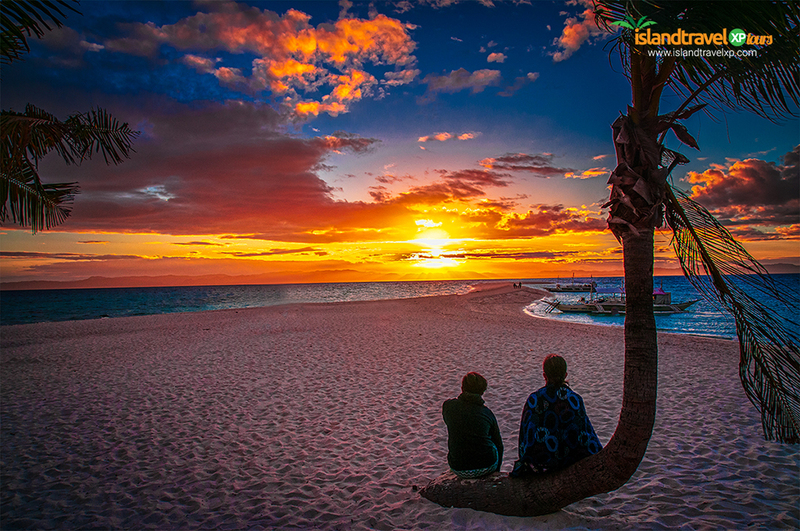 The island offers some of the most affordable and cheapest prices while you enjoy a relaxing atmosphere. 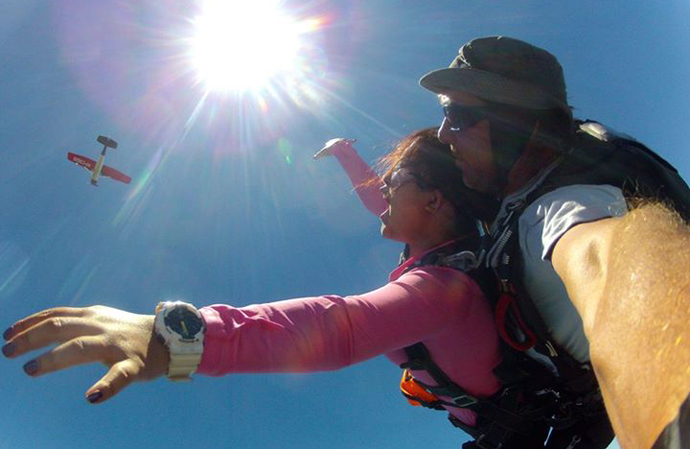 Tandem skydive is considered the safest, and the most fun way of enjoying the greatest adventure of skydiving. 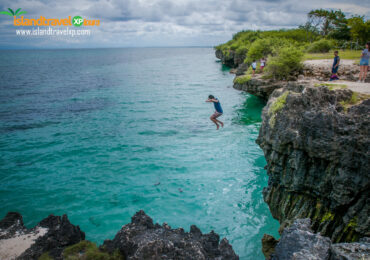 And you can enjoy this once-in-a-lifetime adrenaline rush in Bantayan Island. There are world-class instructors based on the island and you don’t the need experience to fly amid the sky. 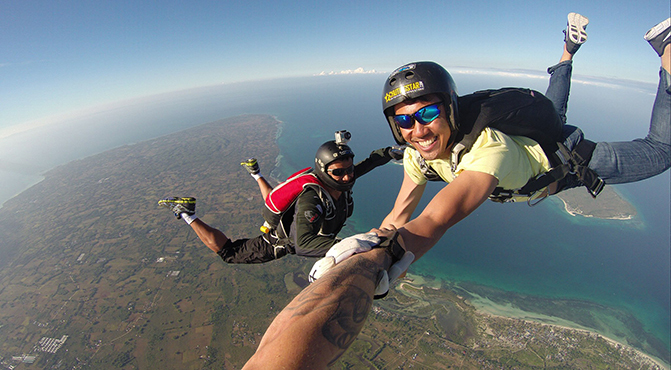 An instructor will accompany you throughout the flight and the jump (that’s why it is called tandem skydiving) which will start at the Bantayan Island Airport. The thrill may last 2 hours (from the flight, the jump, and landing in the designated drop zone) at a very reasonable fee. The food in Bantayan is as fresh as the sea breeze. Most of the people on the island are fishermen where the majority of them live in Sta. Fe. 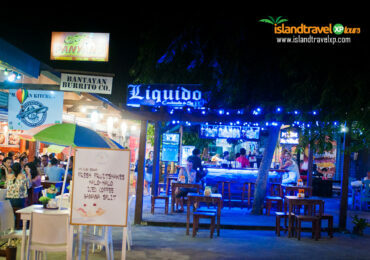 There are also international cuisines available in the island. A trip to the island will never be complete if you haven’t tasted the local cuisine the place has to offer. Some of this popular food fare is a selection of the finest seafood in the island. 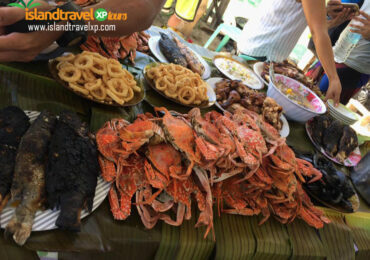 The abundance of shrimp, giant lobsters, crab, prawns, salmon, blue marlin, and scallop are one of the prides of Bantayan. And mind you, these seafood galore are sourced straight from the fishermen’s catch of the day. The catch can be bought in a local public market or can be ordered in a restaurant. Some of the most popular dishes are grilled fish, calamari, baked mussels, seafood platters, and clam soup, among others. 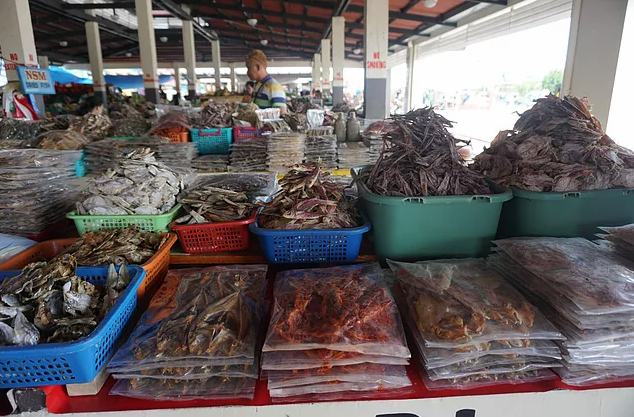 If you want to take home some of Bantayan Island’s delicacies, you can buy dried fish (called danggit) and dried squid (pusit) in the market for a very reasonable price. The island is also popular for its ‘puto balanghoy’, a delicacy made from grated cassava with coconut milk and brown sugar. 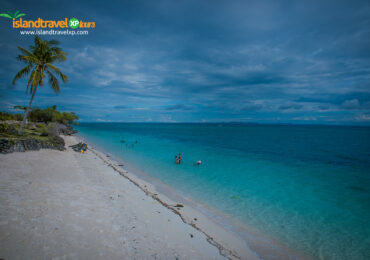 If you are coming from downtown Cebu City, going to Bantayan Island will take about 4 to 5 hours of land and sea trips. You can take either a bus or a van on your way to Hagnaya Port in San Remigio town in northern Cebu where you will fetch a boat (ferry) ride to Bantayan Island. From Cebu City (at the North Bus Terminal), a bus ride can cost you about Php160 one way to Hagnaya Port. Taking a van is faster but may cost Php200 per way. An air-conditioned van trip is more convenient, especially for tired travelers. 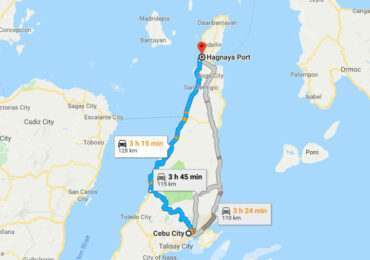 The trip from Cebu City to Hagnaya Port may take about 3 to 3.5 hours. From Hagnaya Port, take a ferry going to Sta. Fe Port in Bantayan Island. A ferry ride cost about Php200 per head and usually takes 1.5 hours of sea travel. If you are coming from Mactan-Cebu International Airport (MCIA), fetch a taxi from the airport that will take you to the North Bus Terminal in Cebu City. A taxi ride to the bus terminal usually takes about 30 minutes at Php160. 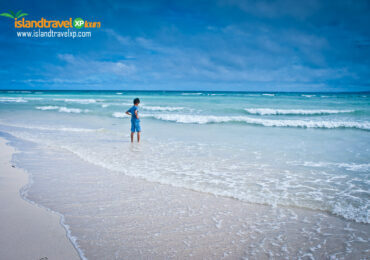 The best time to visit Bantayan Island is from March to May. These months are the dry season in the Philippines where the sea is calmer. October to December is also quite pleasing which is cooler than the summer months. There’s a lot of budgets, mid-range, high-end hotels, and BnBs in either of the beaches. 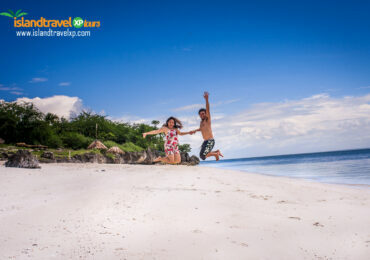 You can book online via Agoda or you can contact IslandTravelXP Tours for a more convenient travel and stay with undisturbed adventure in Bantayan Island. Your First Day will start at 4 AM as you will be fetched from your hotel in Cebu City for traveling to Hagnaya Port up north. Four hours later, as you arrived in Hagnaya Port, you will be transported by a fast ferry on your way to Sta. 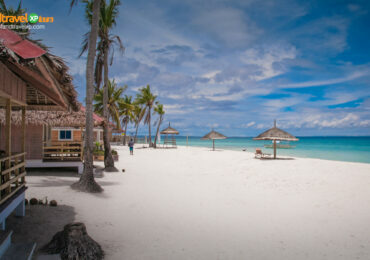 Fe, one of the only 3 Municipalities in Bantayan that has some of the island’s first-class resorts. 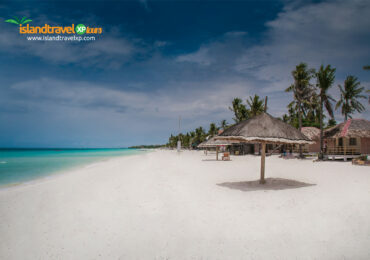 By 9:30 AM, you should be at Bantayan Island and have a quick brunch up to 10:30 AM. At 11 AM, your land tour shall start and ends at 5 PM. You and your group will be returned to the resort by 8:30 PM for a good night rest to prepare for another day of an awesome trip in Bantayan Island. Your Second Day of the tour is even made livelier and exciting as you will start island hopping by 8 AM and have a sumptuous lunch by 1 PM while enjoying the grand views of the island. By late afternoon (about 2:30 PM) you will be back at the resort and board a ferry to Hagnaya Port an hour later. Once you arrived at the Hagnaya Port, a private transport awaits to take you back to your hotel in Cebu City. What a terrific day!